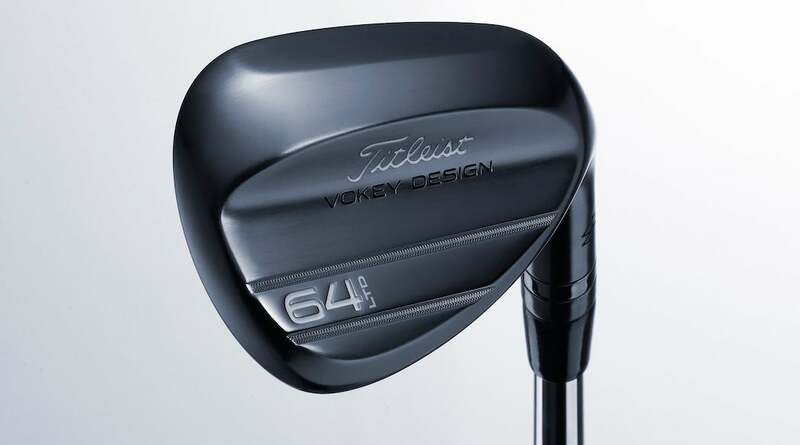 In preparation for the first major of the 2019 season, Titleist’s Bob Vokey and Aaron Dill worked with PGA Tour players to develop a new limited edition Vokey 64T Slate Blue wedge ($250 each before customization). Designed to perform in the specific conditions players will face during the Masters at Augusta National, the Vokey 64T Slate Blue wedge is built with 64-degrees of loft and 6-degrees of effective bounce with a T grind sole featuring enhanced heel, toe, and trailing edge relief for outstanding versatility in a variety of short game situations. Another view of the new Vokey 64T Slate Blue wedge. Like standard SM7 models, the new limited edition wedge also features Progressive Center of Gravity technology for improved trajectory control and accuracy while the slate blue finish offers non-glare performance with durability comparable to a standard chrome wedge. The stock Vokey 64T Slate Blue wedge comes standard with a Dynamic Gold S200 shaft, Vokey Multi-Compound Blue grip and a BV blue and yellow shaft band. Custom options like personalized stamping in up to 10 characters, 12 paintfill colors, and a choice of various shafts, grips, shaft bands, and ferrules are also available for an upcharge. The limited edition Vokey Design 64T Slate Blue wedges are available now through WedgeWorks on Vokey.com or by custom order.